To establish validated, verifiable end points those appraise restoration outcomes. To appraise the proportionality of costs to benefits of restoration measures, including the wider societal benefits (i.e. ecosystem services) that derive from the full span of interventions in river systems. 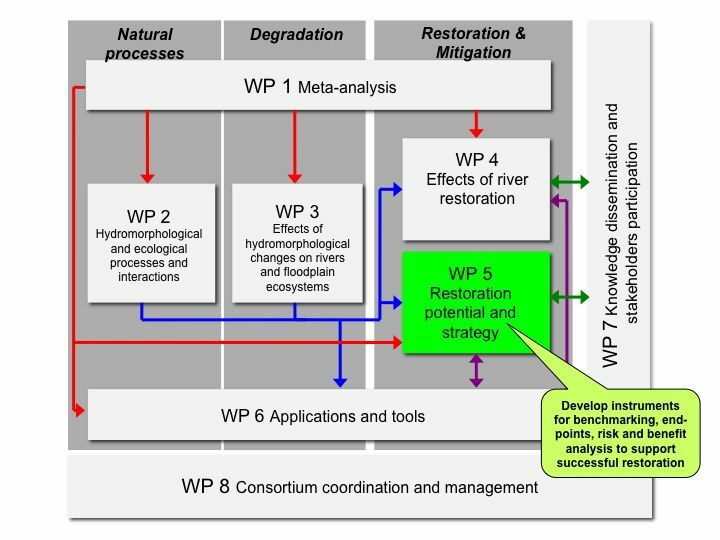 To compile promising, robust strategies of river restoration for different major European eco-regions, as packages of measures that combine cost-effectiveness, verifiable success, and a full account of ecosystem services. To confront these strategies with consequences of plausible future climate and socio-economic change, as grasped in scenarios, and incorporate an informed, adaptive and participatory, risk-based perspective.